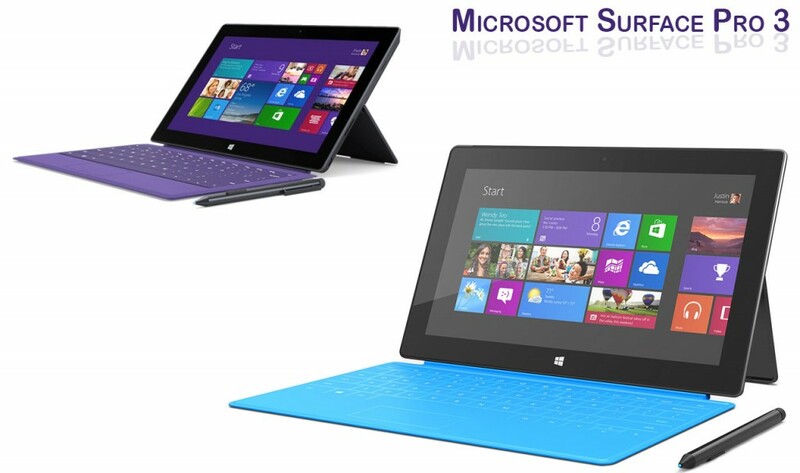 Microsoft has unveiled its all new third generation Surface Pro 3 tablet earlier this week. According to the company this would be the “thinnest PC” ever made having fastest speed with Windows 8. Instead of its thinnest body, lightest weight that is only 798 Grams and high speed, it has the biggest 12″ touch screen which is bigger than its predecessor tablets available in the market. At the launch time of this device, company claims that this device will be able to obsolete laptops. This device is specifically designed so that it can be used as a laptop or a tablet both. The device is running on Microsoft Windows 8 system. Whenever you would like to watch videos or movies or to read e-books, you can use it as a tablet or when you would like to work for business purpose or to prepare some documentation or presentation you can use it as a laptop. To give you a feel of laptop, Microsoft has also revealed a physical keyboard especially designed for Surface Pro 3. It has optional cover along which will acknowledge this physical keyboard. The device is having all the smart features which will give you absolute reason to replace your laptop. If we’ll talk about the design it is as sleek as Apple’s Macbook Air, as it has 13″ screen. We can say that these two models, Apple’s Macbook Air and Microsoft’s Surface Pro 3 are the most sleek and smart designed PC’s ever we’ve came across. The device is good enough as it gives you marvelous combination of thin and light package with Intel’s all new processor available in the market. The device came up with Core i3, i5 and i7 processors providing fast speed as it boots-up quickly from sleep mode. The apps and software are much responsive and snappy. Apart from all these incredible features with Surface Pro 3, it comes with one of the biggest functional changes that is its “Redesigned Kickstand” which was missing in its previous models as they are locked on one or two specific angles. Microsoft introduces a well-tuned redesigned kickstand in Surface which allows you to set it at any angle between 22 degrees and 150 degrees that is hassle free and great for drawing, desk work or even on your lap. The price range starts from $979 and the keyboard ranges $150 extra. The price ranges as per the configurations and it ends up at $2429 along with the keyboard. With a lot of high end specifications and competitive pricing, the Surface Pro 3 gives you a good reason to switch over it as it performs great without demanding a bulky laptop size for doing so.